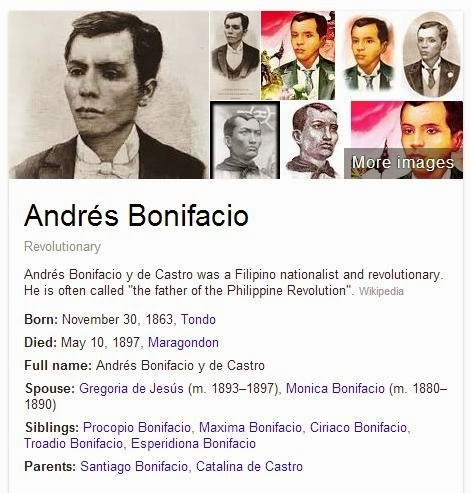 He may not be our National hero, but Andres Bonifacio contributed much in the history of the Philippines. Until now, some people insist that it should be him who deserve the title of a National Hero. However, Dr. Jose Rizal's educational achievement were given much emphasis as well as his non-violent ways of seeking for freedom. But for me, whether he is our national hero or not, Andres Bonifacio is a good example of how Filipinos are willing to risk their lives for our country's ultimate freedom from foreign colonization.